We understand the importance of preventing access to clients whose gym membership is expired and how much real insights for daily attendance can be important for your gym and fitness studio management. Over the time 13Designstreet has developed all new biometric integration software for Easy Gym Software to enhance the user experience of our software clients and upgrade them with new advanced features. Our software is friendly with all devices of ESSL brand or biometric devices that uses zkemkeeper.dll files. When you generate new client in our easy gym software, a new client is updated with a unique user ID in your biometric device automatically. All you need to do is to mark/update fingerprint of your client. Now automatic and fast attendance sync from your device to our software. To keep your device speed healthy our new biometric software will auto delete attendance logs after useful upload them to our server. The new biometric software for Easy Gym Software will auto delete clients whose membership is not renewed or is expired. It's important to delete clients from the device as biometric devices have limited storage and may get changed in case of excess of users. Now, no need to manage employees attendance separately. Our software creates the separate log for your employee attendant which can be used for payroll later on. 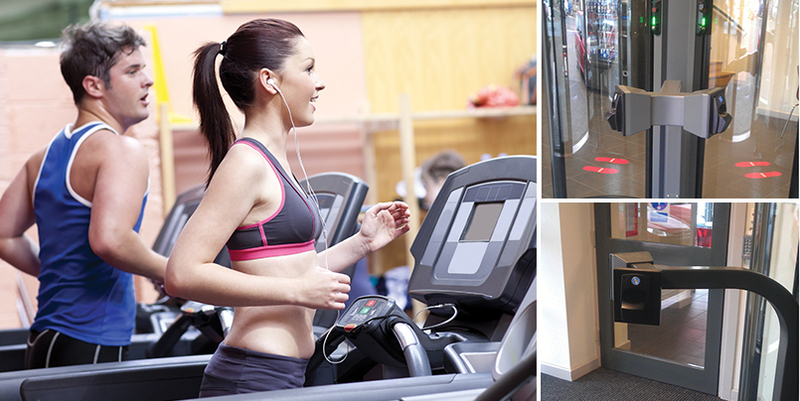 Having a gym or fitness studio wish multiple access doors? Awesome ! Get them managed with one and only and all in one Easy Gym Software. Our new biometric software for gym enables you to manage as many as biometric devices you have in your network. Sitting far away from your gym access door? Or want to see client profile when they come in? Now with our all new biometric software for gym and fitness studio, you will get live feeds/update of the client coming to the gym, you will see client name, contact number, membership ID, expected end date of membership and pending payment dues (if any) on your computer screen.